BROKERAGE BOAT! 1986 Hydrosteam Hustler GOOD LOOKING, 12 Ft Hydrostream Hustler with 25 HP Mercury & Trailer! BROKER Fun, Fast, Sporty and full of Style. This Hydrostream Hustler may be the smallest in the Hydrostream line but it is full of nice lines one would come to expect from a Hydrostream. 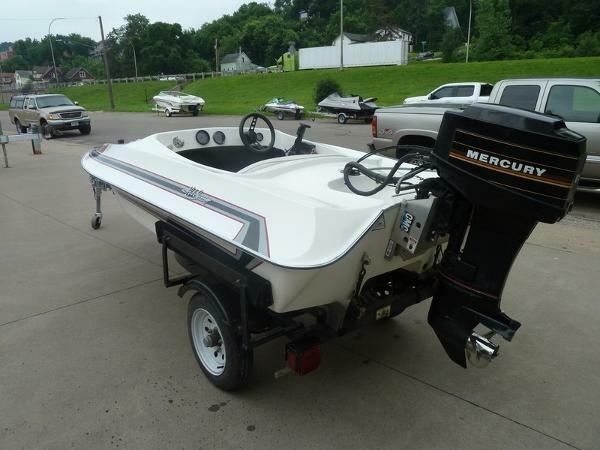 Powered by a 25HP Mercury it is sure to be fun and reliable on the water. 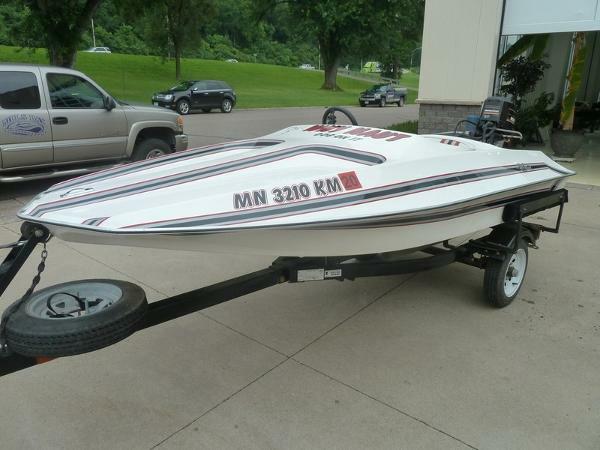 This boat does come with the trailer, Stainless Steel prop and a full boat cover. 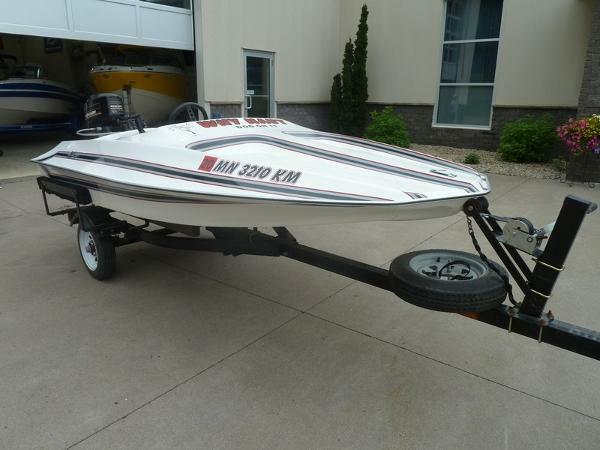 This boat is currently off location so please call to set up a time to view. The Company offers the details of this vessel in good faith but cannot guarantee or warrant the accuracy of this information nor warrant the condition of the vessel. A buyer should instruct his agents, or his surveyors, to investigate such details as the buyer desires validated. This vessel is offered subject to prior sale, price change, or withdrawal without notice.